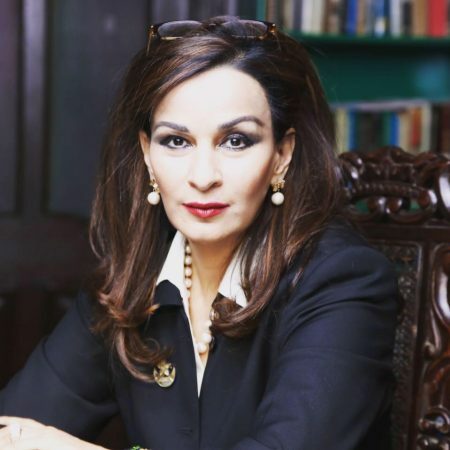 ISLAMABAD, May 15, 2018: Senate Opposition Leader, Senator Sherry Rehman strongly condemned the ongoing violence in Gaza. “It is time for us to stand with the helpless, the dispossessed and the families of the injured and killed. The deafening silence from many is deeply disturbing. I am horrified by the brutality shown by the Israeli army against unarmed protestors including women and children. The scale and ferocity of this onslaught is unconscionable,” said Rehman. The Senator decried the violence, saying, “This murder is a travesty of all norms of international Justice that requires serious intervention from the international community. Israel should not be allowed to kill and occupy with such flagrant impunity. Does the principle of proportionality not apply in this situation?” asked Rehman. 59 unarmed Palestinian protesters have reportedly been killed and over 2,500 were injured by Israeli army forces yesterday. The 50 day-war in 2014 claimed the lives of more than 2,000 civilians. Rehman added, “History is testament to the grim reality of how the people of Palestine have suffered decades of heinous violations of their fundamental human rights while the entire world watches in different degrees of horror or indifference. It is high time for this to change and those responsible for this barbarity must be held to account”. The Vice-President of PPPP assured the party’s support for the Palestinian cause, saying, “The PPP has always stood for, and will continue to stand with our Palestinian brothers. We are deeply shocked and concerned by the violence and its possible future implications for the two-state solution and the peace process in the region. We are calling on the international community and other Muslim nations to not only condemn but proactively push to stop the ethnic-cleansing of the people of Palestine on all diplomatic forums”.